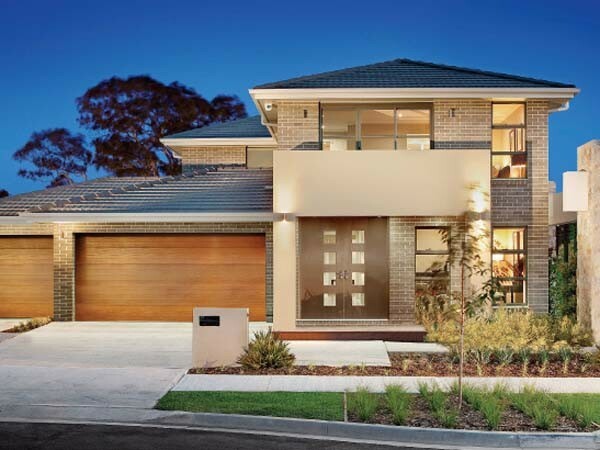 Roofing products from Monier Roofing are designed to stand up to the harsh Australian conditions, ensuring energy efficiency, long-term colour performance and better resale value. Manufacturing roofing for Australians for over 100 years, Monier Roofing underlines the need to select the right kind of roof as it not only takes up 30 per cent of the external facade, significantly contributing to the appearance, but also impacts the performance of the building. Monier’s Concrete, Terracotta and Elemental roof tiles are specifically designed to withstand the harsh Australian conditions and will not rust or corrode near salt water; dent in a hailstorm; or fade faster than alternative roofing products. The first company to launch an integrated SOLAR tile to lower the energy consumption of Australian households, Monier Roofing offers Concrete and Terracotta tiles that have a lower embodied energy, meaning less energy has been consumed throughout their manufacturing process compared to other roofing materials. Monier Roofing has developed a new colour technology that outperforms any other roofing material on the market, directly addressing the need for a roofing tile that will retain its colour for an extended period of time. Metal and solvent based roofing products will fade faster than Monier concrete and terracotta tiles. Their new C-LOC Colour Lock Technology offers eight times better colour performance than standard Colorbond steel. While Monier's standard concrete tile range has a 78% better colour performance than standard Colorbond steel, Monier's Terracotta tiles have a 50-year lifetime colour performance guarantee and will not fade. Additionally, homeowners have the option of repainting or respraying their roof with a new colour. Monier offers a range of colour coatings that can be applied without losing the warranty. By choosing concrete or terracotta roof tiles, homeowners can increase the resale value of their home by 3 per cent. Monier’s concrete tiles can be installed at a 15-degree pitch with sarking while the Nouveau terracotta tile can be installed at a 12-degree pitch with sarking, protecting the home from leaks and achieving a modern look. Monier’s Elemental range of composite lightweight panels can be installed at a 10-degree pitch to achieve that streamlined look and provide protection from the elements. Insurance companies charge a higher premium for houses with a low pitch roof due to inherent problems such as water stagnation on the roof and difficulty in removing fallen debris that can lead to clogged gutters, downpipes and drains. Monier roofs are designed to last a lifetime. While metal roofs have been ‘tested’ for 50 years, Monier’s roof tiles have been proven for 100-plus years, backed by a 50-year performance guarantee for concrete and terracotta tiles. Monier's Elemental range of composite lightweight tiles has been specifically designed to withstand loads up to 300kg and retain its strength while being 10 times lighter than regular tiles.